The Moon is in Pisces until 2:45 AM. The Moon is void until 2:45 AM (since 12:50 PM yesterday). The Moon is in Aries from 2:45 AM forward (until Friday, April 8th, at 2:10 AM). A Third Quarter Moon occurred on March 31st and a New Moon will occur tomorrow morning. 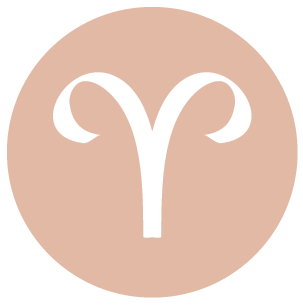 Venus spends its first full day in Aries (Venus transits Aries from April 5-29). Mercury spends its first full day in Taurus (Mercury transits Taurus from April 5-June 12). Mercury has now moved out of your sign and into your resources sector, dear Aries. This planet of communication will spend more time than usual here, until June 12th, due to a retrograde that will occur near the end of April. This is a time for sorting out business and financial matters. You’re interested in tangible progress in your work and you’re more inclined to think practically. A Sun-Pluto square later today can trigger insecurities and fears, and while you should recognize them, don’t let them rule your behavior. Tension about responsibilities and/or career matters can be hanging heavy in the air. You could be struggling with letting go of control or about making changes. People are not very inclined to put their cards on the table at the moment. While it can be difficult to do today, you may want to try to clear your head and let go with a New Moon set to occur tomorrow and bringing fresh energy for turning over a new leaf. 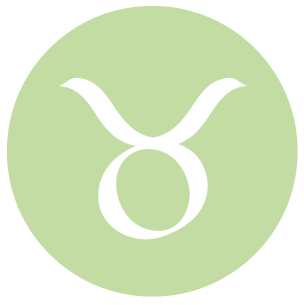 Mercury entered your sign last night, dear Taurus, and will transit Taurus for a longer time than usual, until June 12th. This is a time for speaking out and being heard, making independent or executive decisions, and communicating and connecting with others. You tend to be a tad restless with this energy in your life, and this pushes you to circulate, move about, and interact. It’s a time for learning new things, starting projects, and self-taught endeavors. Today, there can be some tension brewing, possibly over past mistakes, guilt, or buried frustrations that are emerging and affecting your mood. You could be dealing with a moral dilemma or a change of heart today. Philosophical disagreements can escalate rather easily today. This is in fact a time for considering new goals with a New Moon occurring tomorrow morning. 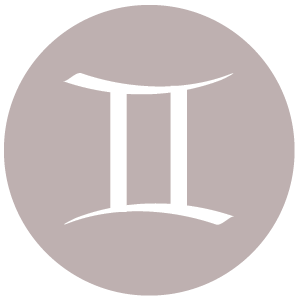 Mercury is now transiting your privacy sector, dear Gemini, and during this cycle that runs until June 12th, you tend to be more contemplative than communicative. You might also be somewhat hesitant about making decisions as you take more time to absorb and digest information before coming to conclusions. This can be a good time for seeing recent events from a different perspective. Relations can be a little tense with or among friends today, and tension may be more about power and control than the issues that are brought up. People can be temperamental. You may be a little conflicted about how deep your feelings run for someone. Tomorrow’s energies stimulate a strong desire to start fresh, particularly on a social level. Think about goals for friendships and networking that you may want to achieve over the coming weeks, and set your intentions with the New Moon tomorrow. 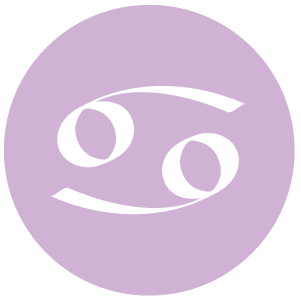 The planet of communication, Mercury, has just entered a very sociable, group-focused area of your chart, dear Cancer, and will move through that sector until June 12th. During this cycle, you’ll thrive on the exchange of ideas with friends – the more humanitarian, unbiased, unconventional, and future-oriented the better. You seek out others who stimulate your mind, and people tend to be drawn to you for the same reasons. 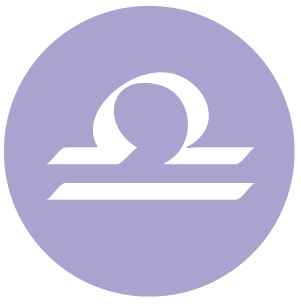 It’s generally a strong time for meeting people, although with an upcoming retrograde there may be complications involved. Today, close relations and career-related connections can be heavy and loaded, however. Nobody seems to want to give a little, and this can lead to a stand-off. There can be a feeling of being blocked or thwarted. Take your time with new plans or initiatives. Today is better for letting go of things that are no longer serving you well, and tomorrow’s New Moon can redirect and energize you. 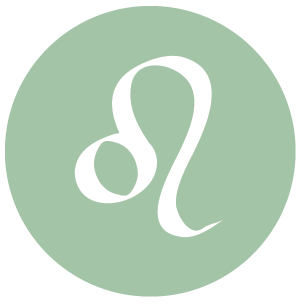 Mercury, the planet of communication, is now transiting your career and reputation sector, dear Leo, and will continue to influence this area of your solar chart until June 12th. Your thoughts frequently turn to professional matters, plans, and goals during this cycle. You are also more careful and perhaps guarded in your communications, as you feel especially accountable for what you say and how you say it – and you are! Today, it can be all too easy to become worked up over trivial or petty matters with a Sun-Pluto square. It’s unlikely that all of the strain is worth it. However, if it ultimately leads to illumination, then perhaps the end justifies the means. The issues that rile you up can be a symptom of something much deeper – of unresolved matters that likely have to do with power and control. Frustration can arise if you feel that you are not on top of your routine. Tomorrow’s New Moon will bring fresh energy for turning over a new leaf, so aim to center yourself today. With Mercury now in your solar ninth house until June 12th, dear Virgo, you may be more frequently thinking and communicating about moral or philosophical issues and less interested in mundane, routine matters and details. You are more inclined to debate and defend your ideas. 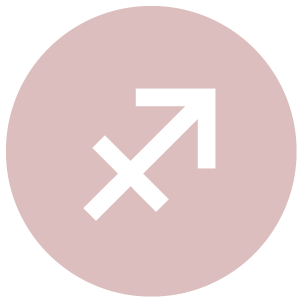 It’s easier for you to see the bigger picture during this cycle, and because Mercury is in harmony with your sign, you’re more easily understood and your ideas are received well. Today, there may be disagreements over money, intimacy, and power dynamics. It’s not the best time to lend something out or even to collect on a loan, although if it’s bothering you, it’s not something to dismiss. Simply leave it for a better day, when emotions are not running so high. There can be worries or fears of betrayal in love or friendship, but be careful not to allow them to drive your behavior. Be selective about what you allow to take center stage in your head right now. Find ways to put negative thinking behind you. Tomorrow’s New Moon is strong for turning over a new leaf. Mercury’s presence in your solar eighth house (since last evening) boosts your perceptive abilities, dear Libra. You are more able to talk about intimate, private, or complicated subject matter with objectivity and ease. This cycle lasts until June 12th. Conversations tend to be intense or heavy, yet you are also more able to remain detached enough to tackle tricky issues. You might find yourself questioning a lot of what you hear and possibly even being suspicious, however. You could also be playing detective at this time, as you can find it especially enjoyable to wrap your head around a good mystery or puzzle. Today, a Sun-Pluto square can point to some tension if you end up feeling stuck in the middle of other’s conflicts and issues. With the extremes you feel and see now, coming to the middle ground may be your best bet. Watch for automatic and compulsive behavior, particularly when it comes to your interactions with family or a partner. Find your center and try not to take yourself too seriously today. If you do, then learn from the frustration that seems to be bubbling up from within. The planet of communication is moving through your partnership sector, dear Scorpio, and will do so until June 12th. Typically, Mercury spends only three weeks in a sign, but this time around, it’s almost twelve weeks. This is a time when you tend to seek out company, answers, opinions, and feedback. It’s not that you want others to make decisions for you. Instead, you tend to want to discuss matters with people in your life and your reaction to their feedback helps you to better understand your own needs and wants. You seek out others and they seek you. You stand to learn a lot through one-on-one conversations. Even so, with an upcoming retrograde you should be careful that you don’t live too much in the mind when it comes to your closest relationships. Today’s Sun-Pluto square can be a difficult one for your mood, but you can also learn a lot from it. You are more sensitive to imbalances of power or people who seem to have a hidden agenda. You can experience some tension if you feel that your daily affairs are getting out of your control. Avoid thinking and analyzing situations too much, especially those things that are not serving you well. 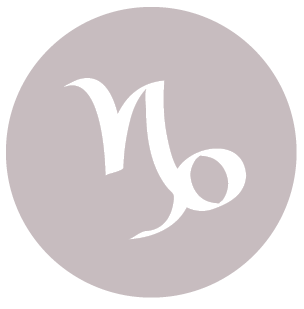 Mercury has just moved into your health and work sector, dear Sagittarius, and with the planet of communication here, there is likely to be a big emphasis on tending to your daily routines, work, and health programs until June 12th. You can have a lot on your mind during this cycle, and you’re mostly focused on practical details, routines, health, work, and everyday life. Today, the Moon is Balsamic with a New Moon occurring tomorrow morning. This means that today is better for closing up projects and laying things to rest than starting new endeavors. However, a Sun-Pluto square can make it a little difficult to accept changes or to graciously let things go. Money and basic values can be tricky topics now. Airing a difficult topic or concern can lead to healing, but avoid fixating on certain matters that you can’t change. Trying to force an issue will only lead to frustration today. The planet of communication, Mercury, is now transiting your playful, creative solar fifth house today, dear Capricorn. This is a strong cycle for expressing yourself more spontaneously. 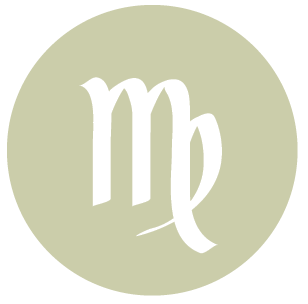 You may be more interested in talking about creative and romantic matters during this transit of Mercury that lasts longer than the usual three weeks – this time, it lasts until June 12th. You express yourself with more wit, charm, or an entertaining touch that draws others to you. Presenting your ideas during this cycle is likely to be especially fruitful. 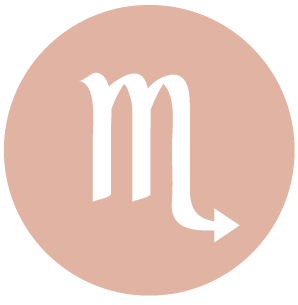 Towards the end of this month Mercury will retrograde in this same zone, which can complicate things but also provide you a window to rethink decisions and choices. These days, home and family matters are taking more priority in your life, and responsibilities elsewhere can seem overwhelming and even obtrusive. At the same time, changes can make you feel uneasy and there can be a strong desire to escape. Consider ways to let go of negative thought patterns that may be emerging now. It’s a good day to put something behind you as we approach a New Moon that occurs tomorrow morning and a chance to start fresh. 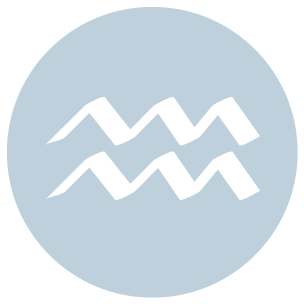 Mercury is now transiting your home and family sector, dear Aquarius, and will continue to influence this part of your chart for a longer than usual stretch, until June 12th. Thoughts and conversations very often turn to personal matters during this cycle, and you tend to reminisce about the past. There might be a lot of activity on the home front or with family – perhaps more conversations and interactions, or frequent visitors. Today, hidden feelings of frustration or guilt can emerge suddenly and can be a little disruptive, interfering with interactions and conversations, until you sort them out. You could feel a little overwhelmed with things to do that prevent you from getting ahead in areas where your interests truly lie. You may be feeling frustrated and sensitive to interruptions, disturbances, and difficult people, and there can be double meanings in conversations today. Look for ways to unwind and relax today. With a New Moon occurring tomorrow and bringing fresh energy, it’s a good time to put things you want gone from your life behind you. 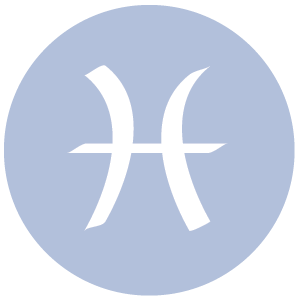 Intelligent, curious Mercury is now transiting your communications sector, dear Pisces, and this sharpens and enhances your ability to process information quickly and effectively. You are likely to be quite busy during this cycle, and the pace might at times feel a little too quick. However, it’s an excellent period, lasting until June 12th, for picking up new information and for diversifying and considering your options. Matters of ownership can be an especially heavy issue for you today, and there may be some power struggles or difficulties trusting someone.It will be difficult to truly know others’ agendas unless you look hard, as people are not very direct or forthcoming right now. With a New Moon occurring tomorrow, your interests and focus are likely to change. Try to let go of resentments today so that you can turn over a new leaf tomorrow without too much in the way of emotional baggage. If Your Birthday is April 6th, If Today is Your Birthday full horoscope here. There can be a tendency to bicker or to fight for power through manipulative means under this influence. Sabian Symbol: An embassy ball. Moon 05° Capricorn 54' 42"
Mercury 09° Aries 37' 27"
Venus 04° Aries 32' 18"